Alright folks, this is what we have been waiting for all year: litchi season. These small, red, rough-skinned spheres of sweet juicy heaven are being shuffled to all corners of Madagascar this time of year. Towns and villages become littered with discarded litchi skins and seeds as people enjoy them on the go; an obvious signal that the best part of the seasonal fruit year has arrived. The tropical fruit, native to south-east China, grows best in the warm humid climates along the eastern coast of Madagascar. Litchi trees grow large and can produce may kilos of fruit. Due to the relatively short season of litchis, about 4-6 weeks, the fruit is highly sought after and quickly enjoyed while it lasts. 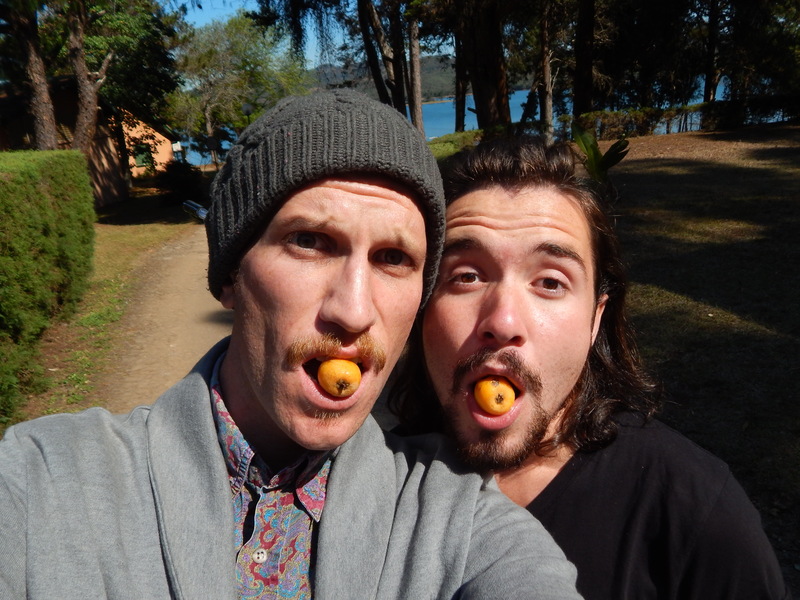 I had never tasted a fresh litchi before coming to Madagascar, so I had to be taught by local children how to eat them. 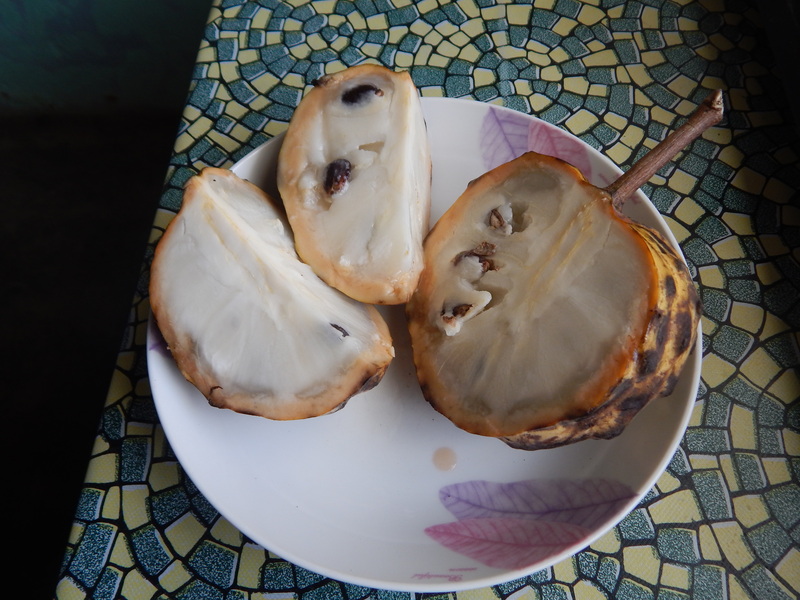 The outside of the fruit is covered by a red, roughly textured skin that must be peeled away to reveal the translucent white flesh. 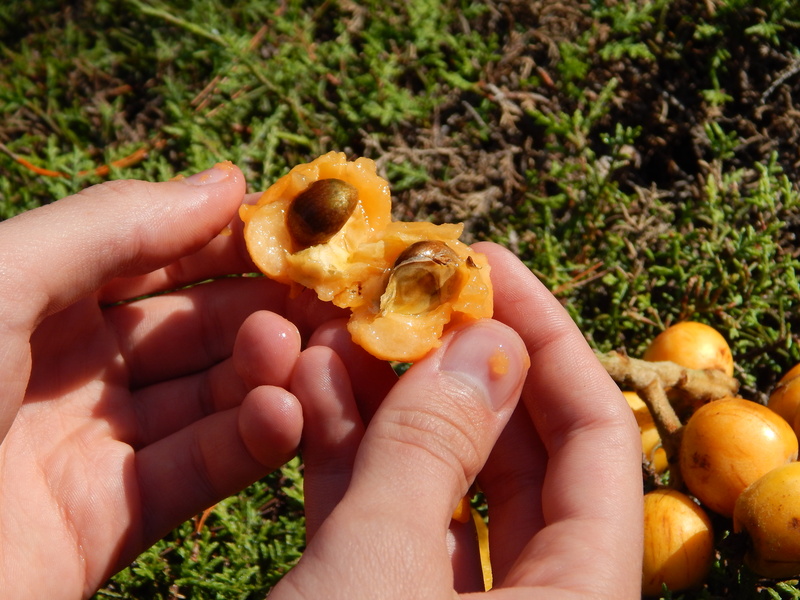 Then, simply pop the fruit into your mouth, remove the flesh from the dark brown seed, and spit out the seed. You’ll likely be hooked after your first taste of the fragrant and sweet fruit, which will lead to consuming at least one kilo each sitting. In the markets of Fianarantsoa right now, I can buy 1 kilo (2.2 pounds) of litchis for 500 Ariary (about $0.15). That’s insanely cheap for such an instant and satisfying sugar high. In many parts of the eastern coastal regions, it’s very common to go out into the countryside with friends and get litchis right from the trees growing around a family’s house. When I was living in Andapa, some of the English teachers that I worked with would invite me to teach with them in their countryside villages and then they would give me kilos of fresh litchis to bring back home. Whether I bought them in the market or got them from a friend, bringing home litchis has been an exciting new experience for me. I really enjoy sitting in the shade outside, snacking on some litchis, and watching the world go by. In some areas of the east coast, litchis are such an important part of the local culture and economy that they celebrate the fruit with street parades and other festivities. While visiting Tamatave this past weekend, some friends and I stumbled upon a litchi parade complete with drummers, dancing, costumes, and lots of singing students. It was an exciting and unexpected treat to watch people basically throw a huge party for this delicious little fruit! As litchi season comes to an inevitable end soon, I know I’ll be out in the markets looking to get my hands on this special fruit for as long as possible. Eating the last litchi of the season is always somewhat sad, marking the conclusion of a gluttonous feeding frenzy, but it also starts the mental countdown until next year’s season. Although it is avocado season again in Madagascar (thank the heavens), there is another seasonal treat making a reappearance in the market these days. What I would have once classified as another “bizarre tropical mystery food” is now a welcomed addition to my diet. Allow me to share the wonders of the voazato. The direct translation of this name is “100 seeds” and it comes from two Malagasy words: voa meaning “seed” and zato meaning “100”. 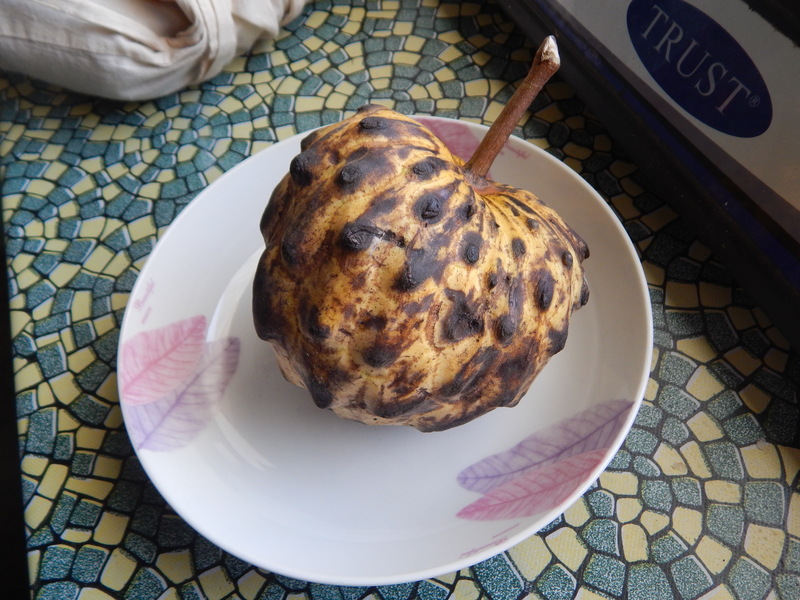 I’ve never seen this fruit before coming to Madagascar, but I’ve been told the most common English names for this fruit can be either custard apple or sugar-apple. Whatever you want to call it, the voazato can be a delicious addition to any breakfast or a midday snack. The jagged exterior and strange shape of the voazato might be a little intimidating at first, but the taste buds are quickly rewarded for exploring their curiosity. The outside of the fruit should be a nice golden yellow with no major bruising. Much like an avocado, a good voazato is neither completely firm or too soft. The edible flesh of the voazato has a smooth viscous texture. It tastes similar to custard (probably where one of the English names is derived from) or plain yogurt. This is why I prefer to eat this fruit in the mornings as part of breakfast. Eating a voazato is fairly simple. First, cut the fruit into quarters to reveal the delicious milky white flesh. Next, use a spoon to scoop out bite sized portions and enjoy. The fruit does live up to it’s name and every bite includes a few inedible brown seeds that should be discarded. I consider myself to be a loyal customer. I like consistency. I appreciate the opportunity to buy a reliable and affordable product. I also enjoy the ability to interact with people who work hard and provide great customer service. If you can give me what I need, advise me when I need help, and make me feel good about spending my time and money at your establishment, I’ll keep coming back. 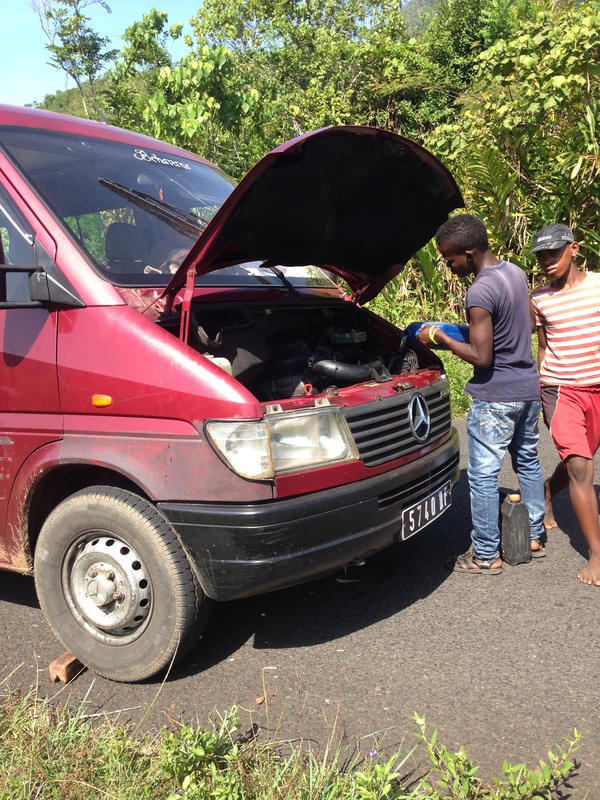 In Madagascar, the concept of customer service is a little different from what I’m used to in America. Most transactions are pretty black and white here. Either you buy the product or you don’t. So in my experience, there’s not a big attempt to lure in customers and try to up sell them. There’s usually a dozen places that sell the exact same products, so most stores don’t have the benefit of being particularly unique. What you see on display in a store is what you get to pick from. 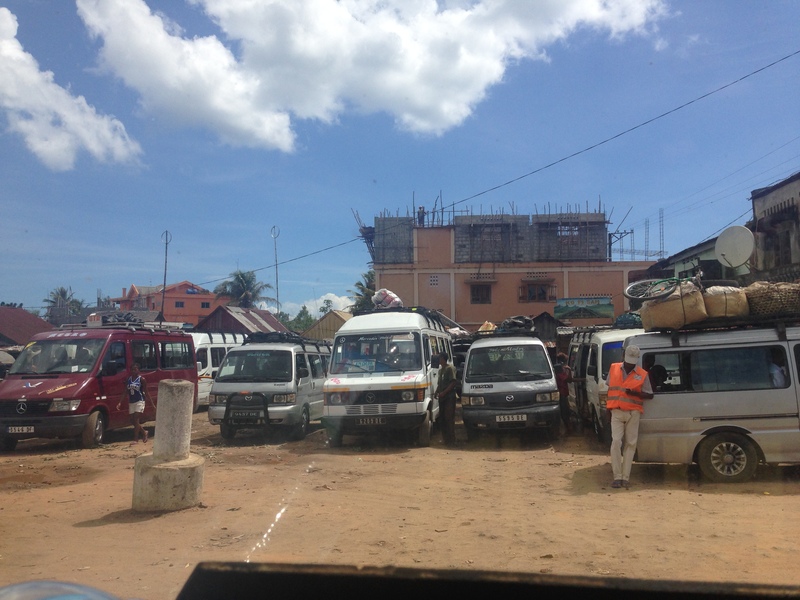 Good customer service, in the eyes of most Malagasy people, means being able to skillfully haggle when appropriate and giving a desirable mix of small bills as change. In my community, there are a handful of people who I am fiercely loyal to. Most of these loyalties were formed very shortly after I arrived in Andapa. During my long and awkward transition into my new life (possibly even still working out a few kinks), these people helped me and I never forgot that. In other situations, I’ve discovered people along the way and developed a consistent routine of buying things from them. 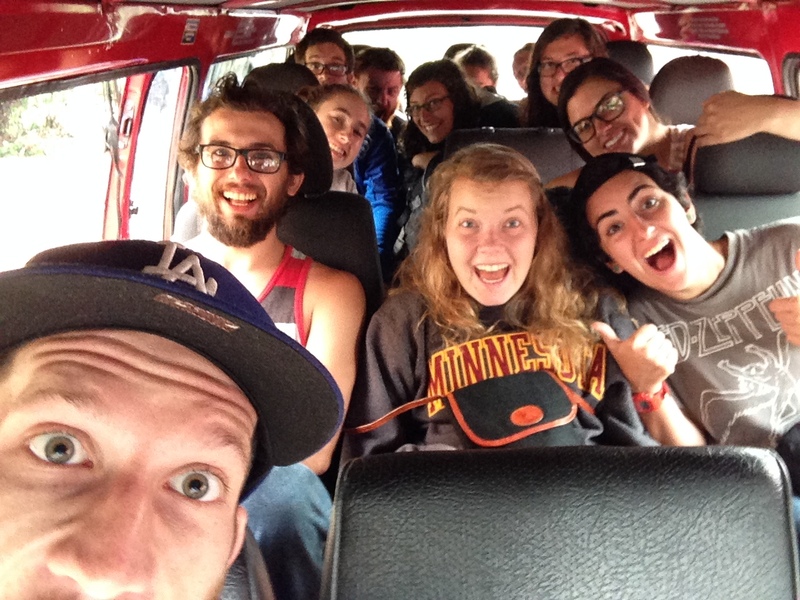 But with each situation, I enjoy the relationship that I have with these people and the way they make me feel. Maybe it’s an aspect of small town living that I never experienced in America, but it’s huge part of why I enjoy living and working in my community. During my first few trips through the market, the large piles of onions and garlic in this small shack at the end of the market road caught my eye. It’s a husband and wife team and they sell onions, garlic, beans, and sometimes coffee. The woman is very friendly and she speaks Malagasy in a simple and clear way, much easier for me to understand and reply to. The man is also very cheerful and he likes to show off the handful of English phrases he knows. They quickly learned that I prefer the big onions, so now they help me dig through the piles and pick out the best onions they can find. Although our conversations almost never branch out beyond “Hello, how are you?”, I can’t imagine buying tomatoes from any other person. And there’s probably at least 20 other people in the market with tomatoes. I primarily keep coming back to her because she likes to pick out the better tomatoes for me. Maybe she does that for everyone that she likes, but it really makes me feel taken care of and I like that. A couple of months ago, I stopped cutting my own hair at home and I went looking for a barber in town. There are probably 100 barbers in my town, all with the same clippers and scissors, so for me, going to get a haircut was about the interaction. With the guidance of a friend, I found a barber who was welcoming and receptive to my requests. He wasn’t shy around me and even started some small talk. He was quick, skilled, and a nice guy. Plus, the name of his barber shop is “Scorpion” and my astrological sign is Scorpio, so clearly he is my star-crossed barber. I rarely buy meat, mainly because it’s relatively expensive and the sanitary conditions are…well…different than they are in America. A couple of the butchers at the market are loud and friendly characters. They were happy when I would buy meat from them, but then they would make me feel guilty when I didn’t buy meat. So recently, I found a new butcher. He’s a quiet older man, works by himself, and he sets up in the back of the market away from the other butchers. When I buy meat from him, he is extremely courteous and he usually gives me an extra spoonful of ground beef as a kadoa (small gift). He always asks how I’m doing and even asks about the other Volunteers who have come to the market with me when they visit. There’s no hassle when I do buy from him and he doesn’t make me feel guilty if I don’t buy from him. I don’t really have a choice here, because there’s only one post office in town. But when I do visit to send letters or check if any new mail has arrived, the men working there are always predictable. One of them likes to practice English, so we chat a little bit. The Director of the post office must live near me because I frequently see him in my neighborhood. And if something has arrived in the mail for me, he doesn’t hesitate to stop me in the middle of the street and remind me to come by the post office and pick it up. 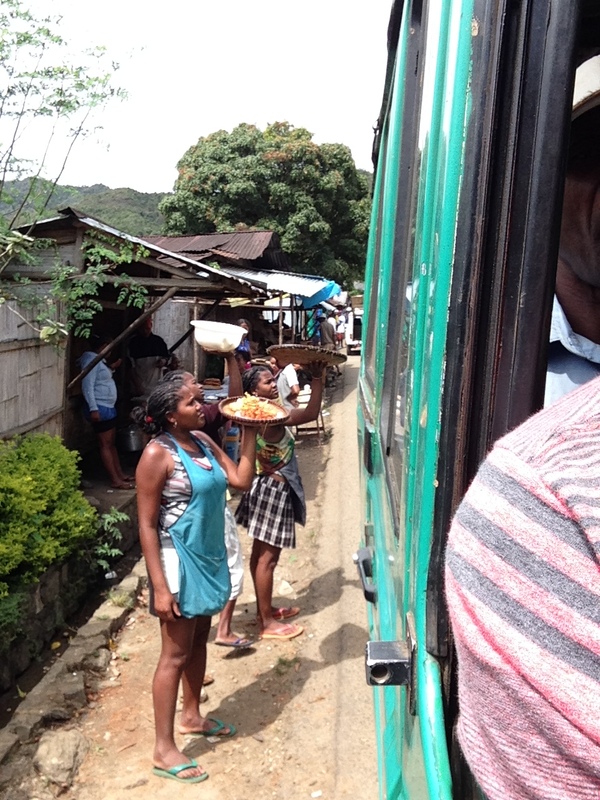 In another situation where I could buy bread from any of the dozen vendors all next to each other on the same corner, I began getting bread from one woman consistently. After I explained who I am and why I am here, she was very appreciative and asked if her young daughter could study English at our library. Without hesitation, I encouraged her to send her daughter and now the young girl is a regular student at the weekly English club. During my first year of teaching, I was scheduled to start class every morning at 6am. I’m not what you would call a morning person, so finding a place to get coffee and a pastry for breakfast before class was very important to me. On the road going to the lycée (high school), crouched behind a small bamboo table about 2 feet off the ground, was a thin older woman with a warm smile and a pot of hot coffee. Behind her were a couple of long benches where patrons could sit, sip their coffee, and gossip. The woman was very welcoming and I think she could tell that pre-coffee morning conversations were not my goal. After a week or so, she stopped asking me what I wanted and instead started to pour a cup of coffee as soon as I sat down. It was that feeling of familiarity and routine that I came to appreciate. I knew my day could start with her and soon I couldn’t start my day without her. I realize that most of my favorite people in town revolve around food, but that’s because it’s an important thing to me and it’s something that I do almost every single day. When I make these everyday purchases, it’s nice to feel comfortable with these people and to have a friendly rapport with them. I’ve noticed that since I arrived in Andapa, much of my community building has been around these people. It’s something that I treasure and I hope to continue building my community in this way when I return to America in the future. 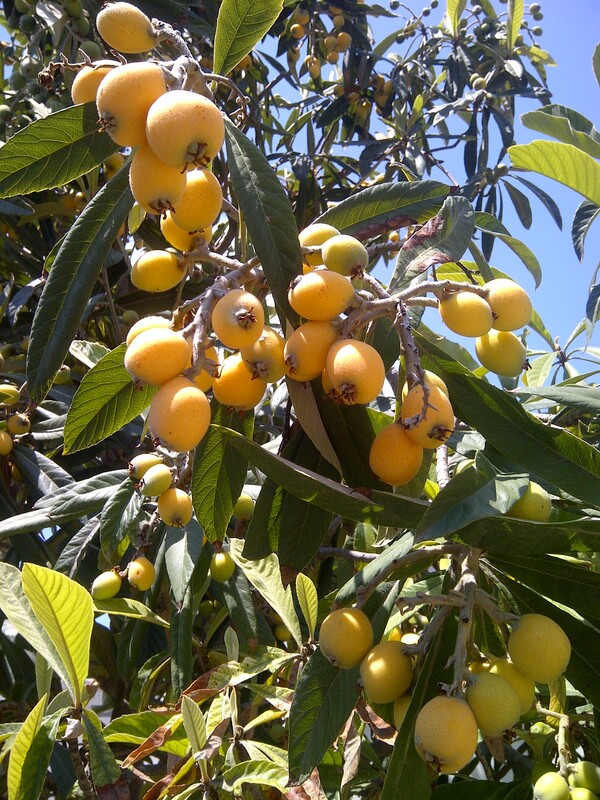 In the central highlands of Madagascar, one of the most delectable and celebrated fruits of the region is a type of loquat called pibasy. The characteristically colder climate of the highlands is ideal for growing pibasy and the fruit becomes available in the region during the winter months (April through July). Pibasy grows in clusters on a tree and ripens into a golden-yellow or orange fruit that can be oval or pear-shaped. The skin is smooth, sometimes furry, and can easily be removed to expose the edible flesh within. The fruit tastes like a tangy combination of peach and mango. Truly a special treat! 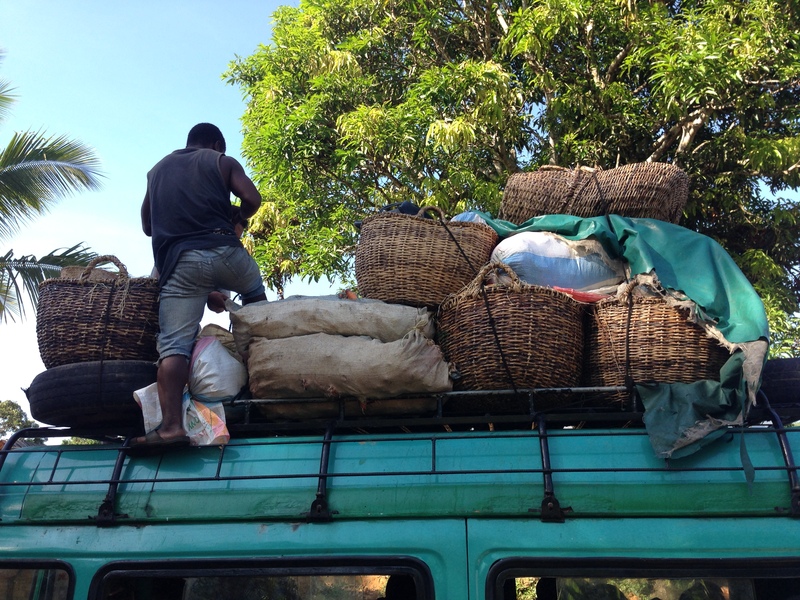 Because pibasy grows only in the highlands of Madagascar and is rarely exported to other parts of the island, it is extremely unusual for me to see it in my own community on the north-east coast. When I travel to the highlands, like I have recently to help train the newest group of Education Trainees, I make sure to seek out pibasy in the markets. When I first arrived in Madagascar, more than one year ago, my host family had many pibasy trees around the house and this is where I was first introduced to the fruit. It was a common dessert that we enjoyed after meals. My host mother also made a sweet jam from the pibasy fruit, which was among one of my favorite parts of eating breakfast with the family. I also remember sitting in the yard and spitting out the pibasy seeds with my host siblings to see who could launch them the farthest. Clearly, my infatuation with pibasy is rooted in the fond memories I share around the fruit. 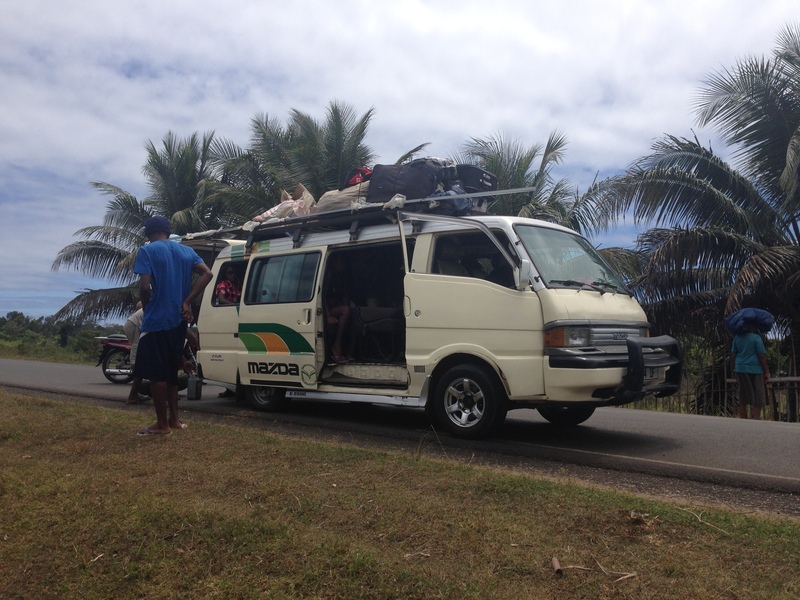 As my current visit in the highlands comes to an end, so does the season for pibasy in Madagascar. My friends and I have enjoyed this year’s harvest and I know many of us look forward to it again next year. 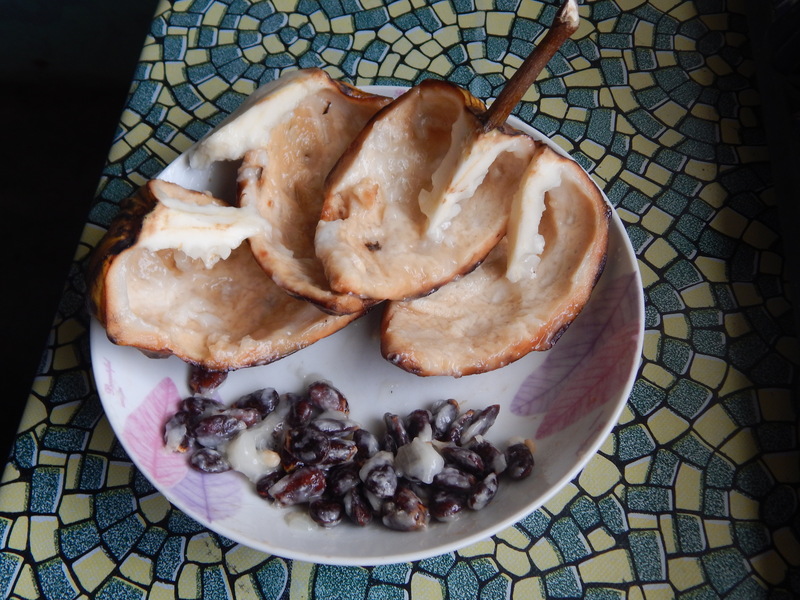 One of my favorite things about Madagascar is the ability to eat fresh seasonal foods throughout the year. The island is so agriculturally diverse that the options for seasonal produce are almost endless. Every few months, the markets are overflowing with a new feature item that I’ve never seen before. Now it’s zavoka (avocado) season! As a native Californian, avocados already rank pretty high on my list of favorite foods. So to have access to perfectly ripe and affordable avocados every day is truly a dietary blessing. 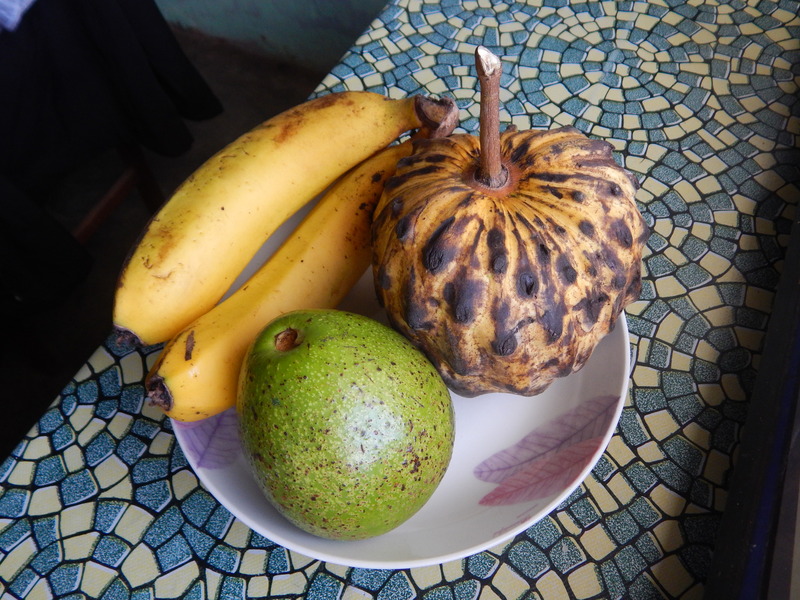 The zavoka in Madagascar is slightly different than the Hass avocados I am used to eating in America. At first glance, they are noticeably much larger and greener than the varieties found in America. 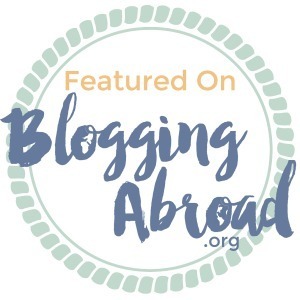 When I first saw an avocado in this country, I had a hard time believing it was actually an avocado! Despite this, they can still be just as ripe and delicious. The zavoka is a little sweeter than a Hass avocado and it has a creamy texture when it’s masaka tsara (perfectly ripe). 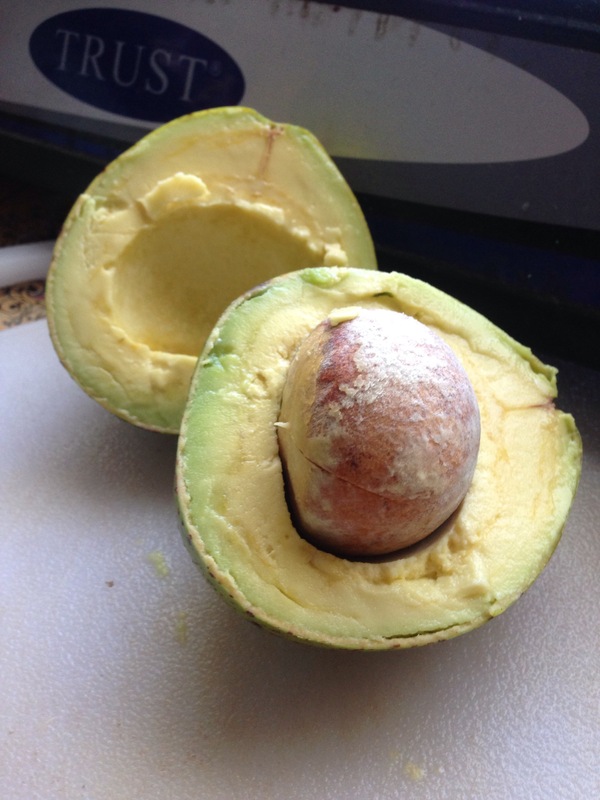 The pit of a zavoka is also much larger, which probably explains why the overall size of the avocado is generally larger. 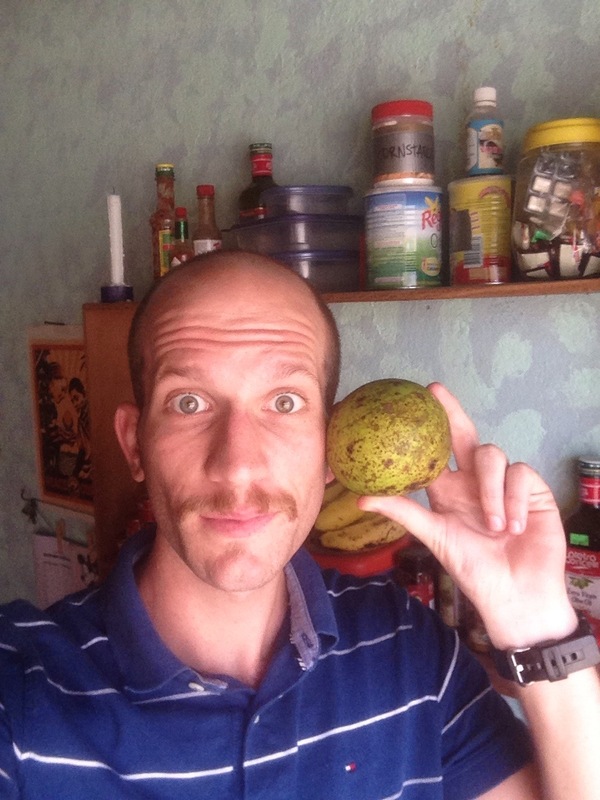 In Madagascar, I’ve been able to try new ways of eating avocados. For example, following the advice of one of my neighbors, I often make a kind of avocado yogurt. I simply cube a very ripe zavoka, add a splash of water and a teaspoon of sugar, then mix it up with a spoon until it has a smooth texture similar to yogurt. The small amount of sugar only helps to bring out the natural sweetness of the zavoka. I find this to be a delicious breakfast or dessert! I’ve also been experimenting with different types of avocado salads, combining vinegar, onion, garlic, tomato, and sometimes carrot. Of course, I love to make guacamole as often as I can and share it with some of my Malagasy friends. They seem to enjoy trying this new “foreign” food. Sometimes when people see me buying a bunch of avocados in the market, they ask me if I’m making guacamole again. I also enjoy eating a zavoka, with just a little bit of salt and pepper, as a quick and easy snack. I fear that zavoka season will soon be coming to an end in Andapa. But until then, I am enjoying the bountiful harvest.